All Chicagoans love a party, and what better excuse is there than to ring in the New Year? Whether it’s a quiet dinner with friends, watching the fireworks at Navy Pier, or at a grand hotel gala, a New Year’s Eve celebration is a tradition that has lived long and well in our city. I’ll have what she’s having, as long as it matches my dress. Let’s start with the early days of Chicago, when most entertaining was conducted at home. According to the insightful book, Fabulous Chicago, New Year’s celebrations topped the social calendar. It was a time for young gentlemen to call on lovely ladies in a faultlessly arranged ritual. Calling cards abounded, and were counted at the end of the day in certain neighborhoods to assess the girls who had attracted the most suitors. During the first years of Chicago’s social existence, serving alcoholic beverages was considered “fast,” and was only conducted by Southern transplants. Needless to say, the parties hosted by those born south of the Mason-Dixon line were celebrated for their jollity. A New Year’s calling card from Mr. W. T. Clark. As Chicago entered the Gilded Age, parties became considerably more sophisticated. Always cognizant of trends and fashions being set by their peers in New York, Chicago’s social leaders began to throw blockbuster parties. Champagne flowed, oysters perched atop ice in silver trays, and bands played in ballrooms and orchid-bedecked conservatories. The most amazing party of all was that hosted by the Marshall Fields on January 1, 1886. Their Mikado Ball raised the bar incredibly high for any subsequent entertainment. The champagne cocktail gained in popularity during the Gilded Age. Here is an original 1887 recipe, courtesy of the Bar-Tender’s Guide. Fill goblet with sparkling wine, stir with a spoon, and serve with a thin, twisted slice of lemon peel. The bubbly ran a delicious, undammed river through Chicago New Year’s festivities until shortly after New Year’s Day, 1919. On January 17 of that year, the Volstead Act, prohibiting the “manufacture, sale or transportation of intoxicating liquors,” went into effect. Prohibition reared its dry, ugly head. The most hated sign in America. However, instead of encouraging America to quit drinking, the Volstead Act served to fuel the thirst. Chicago, being on the shores of Lake Michigan, was more fortunate than many other major cities, as tons of illegal booze floated in from Canada. And too, by the dubious grace of characters like Alphonse Capone, Chicago was well-connected in the hooch market. A 1920s lovely enjoys her bubbly. The quality of New Year’s celebrations in the 1920s depended probably more significantly than at any other time upon one’s level of affluence. Chicago’s very rich built and stocked capacious wine cellars well before 1919. Or, they established meaningful relationships with trustworthy bootleggers. Chicago’s less wealthy citizens were not so blessed. “Bathtub Gin” was literally made in the same place where one scrubbed off the day’s grime. A filthy room could accommodate a still or a primitive wine-making facility. Drinks with names like the Hanky Panky, Bee’s Knees and the post-hangover Corpse Reviver were born. Prohibition-era cocktails: Truth in advertising. Place all into cocktail shaker, and shake for about ten seconds. Top with more mint leaves, and serve over a large ice cube. Did Guy Lombardo, whose Auld Lang Syne will forever be associated with New Year’s Eve, ever play in Chicago? According to Lombardo’s niece, Gina Lombardo, the answer is a resounding yes. Per a December 31, 2012 USA Today article, Lombardo was a devoted friend and fan of the legendary Louis Armstrong. The two performed at Chicago’s Granada Cafe. Lombardo wanted to treat his friend to a meal after a performance, but the restaurant manager forbade the presence of Armstrong in his dining room. Lombardo immediately threatened to quit the act and take Armstrong with him. Armstrong had his dinner. Chicago partied hard on December 5, 1933, the day that Prohibition officially died. A grand age of celebrations began. Bars were packed, and the new age of drinking offered a host of celebratory options for Chicago’s great restaurants and hotels. Names like the Empire Room, Boulevard Room, Chez Paree, and Panther Room evoke memories of the Big Band Era. For the coolest jazz, the North Side had its Green Mill. The South Side claimed the Club DeLisa. Although the Great Depression lingered through most of the 1930s, it was still possible to celebrate in style, as depicted by this elegant couple at the Drake Hotel. A Lady of the Camellia – and Jungle Red nails. As Chicago entered the World War II years, New Year’s Eve celebrations were a bit different. Rationing prevented ample supplies of many foods and beverages. Many of the city’s young men were overseas, and those who were in town partied at the USO. Because of Chicago’s strong connections with the entertainment industry, the USO was often the hottest place in town on New Year’s Eve. Patriotic stars and singers went all out for the men and women in the military. A marine and his queen ring in a New Year. New Year’s celebrations of the 1950s and beyond need their own story. So for now, dress up, break out the bubbly, be of joy, hope and love. Make the resolutions after January 1. For now is a time to simply be happy. See you next year. Champagne Cocktail pin by Oscar de la Renta. May 1, 1893: It was good to be king. Or, in this case, it was good to be Daniel Burnham, who chaired the Board of Architects. On this day, a not remotely little plan he conceived three years prior was about to become electrifyingly real. He and a few of his Prairie Avenue neighbors, Marshall Field, George Pullman and Philip D. Armour, had organized the world’s biggest block party: The Columbian Exposition. Of course, the friends had to pass the hat to get a little startup money. By the time Chicago had prevailed over New York, Washington, D.C. and St. Louis, the Prairie Avenue luminaries and their contemporaries had raised $10 million to host the Exposition in their back yard. By May 1, the costs had exceeded $28 million. Burnham’s treasured business partner, John Wellborn Root, had suddenly died early in the planning stages. Famed landscape designer Frederick Law Olmsted transformed some 600 acres of ungainly, swampy grounds in Jackson Park into a fairyland, complete with stately promenades and graceful waterways. A magical Beaux-Arts city of elaborate buildings clad in snow-white stucco slowly rose from the imaginations of Burnham and his team of the world’s most distinguished architects. Standing in stark contrast to the poorest neighborhoods of Chicago that had not fully recovered from the 1871 fire, the White City, as it came to be known, would captivate the millions who passed through it. By the time construction was complete, the 14 principal structures contained 63 million square feet of floor space. On May 1, Opening Day, President Grover Cleveland arrived to do the honors with Mayor Carter Harrison before more than 100,000 spectators. He flipped a lever, thus awakening the dynamos that would power the spectacle. Some 120,000 light bulbs began to glow. The Fair literally burst into a most luminous life. All aglow: The World’s Fair at night. During the six months of the Fair’s existence, some 27 million people came to visit. That translates to roughly 25% of the U.S. population at the time. This is an amazing statistic given the relative scarcity of transportation and the nation’s predominantly agrarian culture. But come they did: on the New York Central, the Michigan Central, and the Santa Fe. They arrived on horseback, by coach. Most stayed for a few days, marveled at the exhibits, discovered Juicy Fruit gum, gobbled the new dessert treat, “brownies,” purchased souvenirs and went home. Some visitors came from far away. Chicago considered itself honored to host dignitaries from all over the globe. One of the most prominent groups affiliated with the Columbian Exposition was the Board of Lady Managers, one of the earliest female organizations officially recognized by the U.S. Congress. Chairing the Board was Bertha Palmer, half of one of Chicago’s first Power Couples. A well-educated lady of the South, she proved to be a brilliant match for department store and hotel magnate Potter Palmer. She was revered in her own town, but her star was just beginning to shine on a worldwide basis. And so it came to be that she received not just ingratitude but insults from one of her prized guests at the Fair. Chicago society was clearly flexing its collective muscle when it secured one Maria Eulalia Francisca de Asis Margarita Roberta Isabel Francisca de Paula Cristina Maria de la Piedad, otherwise known as the Infanta Eulalia of Spain, as a visitor. What better way to commemorate the good judgment of Queen Isabella to send Columbus on a voyage than to have a present-day representative of the Spanish crown show up at your block party? Feeling the joy: The Infanta Eulalia. The denizens of Prairie Avenue and Chicago’s other elite enclaves went beyond their already lavish entertainment machinations to wow the Spanish royal. However, the Infanta was famously not impressed with the Windy City’s luminaries. While Chicagoans were accustomed to snubs, they did not take kindly to Eulalia’s catty reference to Mrs. Palmer as a “lowly innkeeper’s wife.” While the Infanta would write socially insightful books later in life, she was not at her best in 1893. Bertha Palmer was too graceful at the time to have publicly commented upon the Infanta’s having married her first cousin, a union that would have inspired present-day critics with whoops of infantile glee. Speaking of degeneracy, another element of the Fair piqued the ire of Mrs. Palmer even more than the haughty Spaniard: The Streets of Cairo. This most successful exhibit on the Midway featured Javanese women capable of never-before seen abdominal gyrations. In other words, belly dancers made their wiggly debut in Chicago, delighting millions of Fair attendees. Mrs. Palmer was infuriated, but the concession was wildly popular. Beyond the dreamlike ambience of the White City, even beyond the views from the new Ferris Wheel, was a killer who would thrive in the crowds and prey upon young female visitors. The best way to learn about the dark side of the gleaming Fair is to read Erik Larson’s Devil in the White City. Rumored to be a future Martin Scorsese film starring Leonardo DiCaprio, its protagonist is, for obvious reasons, Daniel Burnham. Until the publication of Devil, few knew much about the antagonist, H.H. Holmes. A New Hampshire ne’er do well who came to Chicago to pursue a career in dubious medicine, Holmes bought himself a building in Englewood, near the fairgrounds. 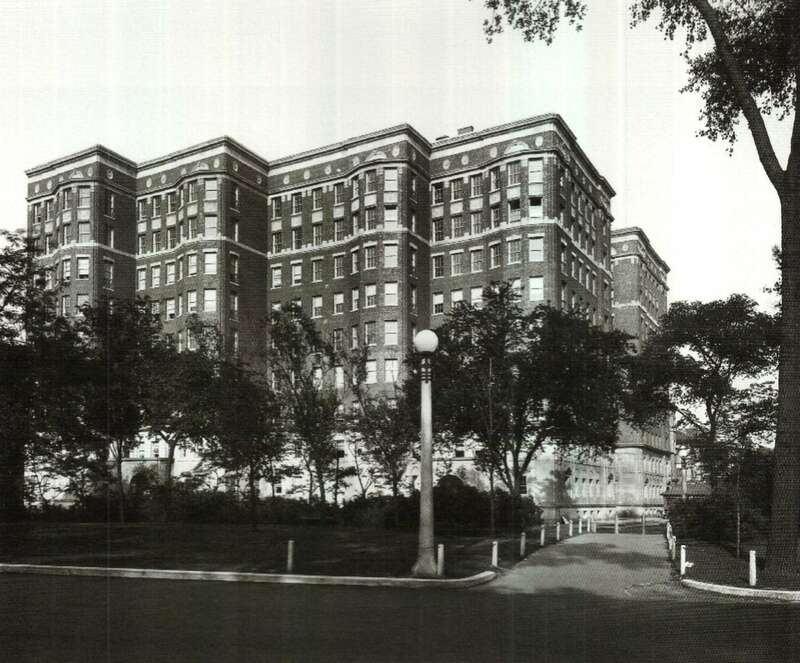 He dubbed the structure “The World’s Fair Hotel.” Holmes operated a pharmacy on the ground floor, but the upstairs rooms contained architectural features that would have astounded even Burnham. Holmes configured the rooms to incorporate secret passages, tiny spaces, and a chute that would swoop dead bodies to the basement with its conveniently installed kiln. Holmes appeared to be a reasonably good-looking man, so much so that he was engaged to at least two women. He tortured and slaughtered countless more. Thanks to the kiln, it was easy to dispose of them. In addition to having committed murder, Holmes engaged in insurance fraud. While involved in the latter malfeasance, he was arrested in Philadelphia. Detective Frank Geyer, while investigating Holme’s financial crimes, dug a bit deeper into Holmes’ past. Geyer was horrified to discover that the imprisoned Holmes was also a mass murderer. Some estimates place the number of Holmes’ victims at 200. The odious Holmes was hanged on May 7, 1896 in Philadelphia’s Moyamensing Prison. By the time the Fair ended on October 31, 1893, Mayor Carter Harrison was assassinated by a would-be seeker of office. A smallpox epidemic swept through Chicago. And, shortly after the visitors had gone home, the Ferris Wheel and midway disassembled, the last remnants of popcorn swept off the streets, the Fair caught fire. Many of the main buildings were destroyed. Only one of the glorious structures still stands: The Palace of Fine Arts, although today it is known as the Museum of Science and Industry. The only building constructed with every known method of fireproofing, to protect precious works of art, withstood the flames of 1893. When Chicago played host to the World’s Fair in 1933, the Museum had been reclad in Indiana limestone. This imposing yet beloved structure will serve as long as time permits as a reminder of the long-gone White City. This timeless quote is from Daniel Hudson Burnham, the legendary Chicago architect and urban planner. Burnham is the author of the Plan of Chicago, a masterful 1909 text that, among other things, helped ensure that Chicago’s miles of lakefront were not only beautiful, but functional and accessible to all. Burnham was also the visionary behind an event that would establish Chicago once and for all as a world-class city, commercial juggernaut, and cultural mecca: The 1893 Columbian Exhibition. Like many remarkable Chicagoans profiled in this series, Daniel Burnham was a denizen of Prairie Avenue. One of his first architectural commissions, shared with business partner John Wellborn Root, was a grand home at 2100 S. Prairie Avenue. The fledgling firm of Burnham & Root designed the mansion for John B. Sherman, one of the founding members of the Union Stockyards. While the home was under construction, Burnham met and married Sherman’s daughter, Margaret. At the outset of what would be a long and happy union, Burnham came to live in the house he built for his eventual father-in-law. Sherman became an avid supporter of Burnham & Root, using his many business connections to generate commissions for the growing firm. During his time on Prairie Avenue, Burnham made many friendships with Chicago’s elite. His ties to the city’s most wealthy and powerful citizens gave him an edge when the city vied for a most prestigious prize: Hosting a World’s Fair. There has not been a World’s Fair in the United States since 1984. The last Fair, hosted in New Orleans, entered into bankruptcy before its six-month run ended. More than one generation of Americans has never attended, and perhaps never will attend, a World’s Fair. Remnants of 20th century Fairs, such as New York’s Unisphere and Seattle’s Space Needle, are camp icons. It is easy to forget that World’s Fairs were once huge, heavily attended spectacles, showcasing technological innovation and, if the backers were lucky, generating significant profits. The first World’s Fairs were mainly industrial exhibitions. Between 1798 and 1851, Paris hosted eleven such shows. Other countries began to take notice. Always one to engage in one-upmanship with its rival nation, Great Britain decided to host its first exhibition on a scale that would dwarf anything France had thus far accomplished. Prince Albert, husband of Queen Victoria, and Henry Cole organized the bombastically titled Great Exhibition of the Works of Industry of All Nations. The Great Exhibition, now recognized as the first World’s Fair, was housed in a fantastic mega-greenhouse that came to be known as the Crystal Palace. The 1851 London-based event helped to solidify awareness of Britain’s industrial and technological leadership. It was also hugely profitable: Its surplus of what would be more than $22 million in 2017 was used to build several museums, including the Victoria and Albert. There was even enough leftover money for a trust to fund industrial research grants. The trust is still in existence. The United States did not host a major exposition until 1876, when the Centennial Exposition opened in Philadelphia. Four years in the making, the event contained some 200 buildings and drew more than 10 million visitors. While it did not achieve a profit for its investors, the Centennial Exposition established the U.S. as a formidable source of manufactured goods. It ultimately enhanced the nation’s viability by helping to spur the growth of exports. Stereopticon image of Memorial Hall, Centennial Exhibition, 1876. Following the success of Philadelphia, it was time for another World’s Fair. This one would commemorate the 400th anniversary of Columbus’ discovery of the New World. Washington, D.C., St. Louis, New York and Chicago initially vied to host the exhibition. It soon became evident in the timeless “pay to play” scheme of things that only New York and Chicago possessed the necessary financial muscle to host an event of such magnitude. Although Chicago was only some 20 years beyond the 1871 fire that devastated the city, its resurrection was rapid and spectacular. It was, defiant of any odds, a formidable contender. The eyes of the nation focused upon the two great cities: New York, America’s locus of power, longtime financial center, versus aggressive, new-monied Chicago. The U.S. Congress would be the final decision-maker of the Exposition’s venue. In New York’s corner stood deep-pocketed giants such as Cornelius Vanderbilt, J.P. Morgan and William W. Astor. 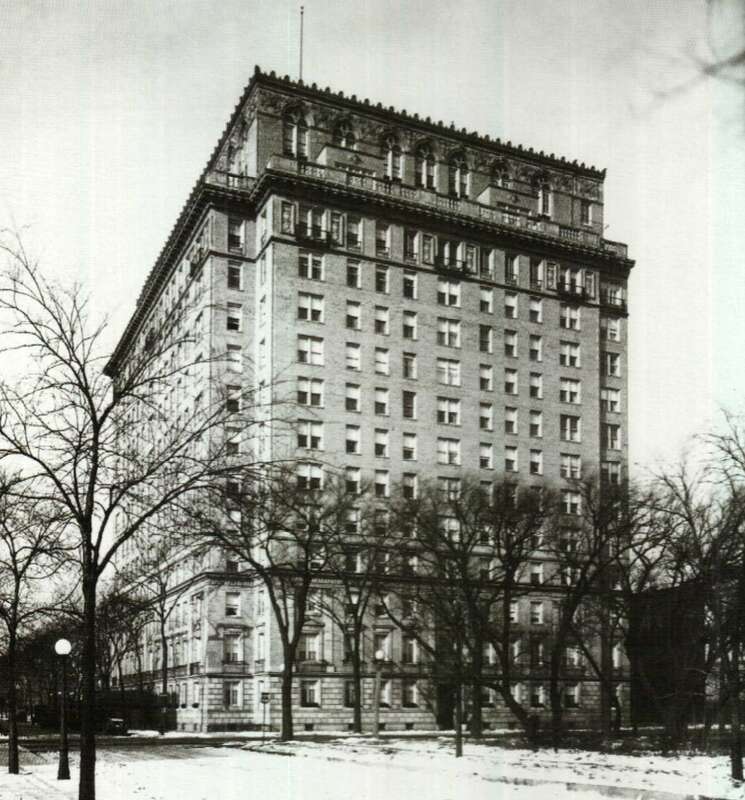 In Chicago, however, a few Prairie Avenue neighbors were not about to back down: In an early display of refusal to concede to Second City status, Philip D. Armour and Marshall Field used their considerable wealth to put Chicago forward. Other major players included Gustavus Swift, Cyrus McCormick and Charles T. Yerkes. Chicagoans of every income level pledged whatever they could to ensure their town would be the next location of a World’s Fair. New York was still the predicted host until a last-minute funding surge of several million dollars orchestrated by Chicago financier Lyman Gage turned the tables. Congress decided: Chicago would host the 1893 Columbian Exhibition. And Daniel Burnham would have some very big plans to make. To longtime residents and newcomers alike, Chicago’s cultural institutions seem to have been fixed stars in the city’s firmament. It is almost impossible to imagine a time when Chicagoans and visitors could not delight in the Art Institute, Symphony Orchestra, Lyric Opera, and countless other venues. The city’s quest for artistic viability started early on: as soon as the mid-1800s, the city began to establish itself as the Midwest’s mecca of wealth, culture and philanthropic opportunities. The city’s progress in these areas grew exponentially after the Chicago Fire of 1871, when the need for lumber, steel, foodstuffs and department store goods further enriched already prosperous families. Many of these families, such as the Potters, Glessners, Armours, Hamills and Fields, had the prescience to help build prestigious cultural institutions that thrive to this day. By the 1880s, an inordinately large percentage of Chicago’s monied families chose Prairie Avenue as the place to build their palaces. Although the phrase “Keeping up with the Jones” refers to the Jones family of New York City that produced novelist Edith Wharton, there were plenty of Jones counterparts residing in the not-so-little houses on the Prairie. While their spouses were reigning over their factories, stockyards and stores, the ladies of Prairie Avenue sought to create a vibrant, elegant social environment to compete with, if not rival, those of New York, Philadelphia and Boston. The earliest social functions were not entire worthy of the storied gatherings back East. In Emmett Dedmon’s fascinating book, Chicago, reference is made to one Charles Fenno Hoffman, who described a typical social event: “At these Chicago cotillions, you might see a veteran officer in full uniform balancing a tradesman’s daughter still in her short frock and trousers, while there the golden aiguillette of a handsome surgeon flapped in unison with the glass beads upon a scrawny neck of fifty … the high placed buttons of a linsey woolsey coat would be dos a dos to the elegantly turned shoulders of a delicate southern girl.” However, what the city may have lacked in pedigree, it more than compensated in money and visionary benefactors. As Chicago’s elite sought to force showy hothouse flowers from its frontier town roots, they began to cultivate the rudiments of culture on the shores of Lake Michigan. Some of the city’s wealthiest inhabitants had music and art imbued in them from educations in the East; others were ardent students of the city’s early arbiters of taste. One way or another, it became incumbent upon Chicago’s most successful citizens to transform what was once a backwater into a showcase of the arts. Then, as now, a successful opera company was one of the bellwethers of a young metropolis. Chicago’s first opera house opened in 1865, but was destroyed in the Chicago Fire. Its successor, Louis Sullivan’s extraordinary Auditorium, opened in 1889. Theodore Thomas founded the Chicago Symphony Orchestra (CSO) in 1891. Concurrent with the 1893 Columbian Exposition, an event that signified that Chicago had truly arrived as a world-class city, the Art Institute of Chicago moved into its venerable headquarters on Michigan Avenue at Adams Street. The Boston architectural firm of Shepley, Rutan and Coolidge provided a Renaissance design so appropriate for Chicago’s rebirth after its devastation by fire only 20 years prior. The Art Institute of Chicago rises, ca.1893. Not surprisingly, the families of Prairie Avenue played significant roles in Chicago’s social and cultural ascendancy. Upon the formation of the CSO, John and Frances Glessner pledged ardent support behind the orchestra and its founder, Theodore Thomas. Mr. Glessner served as one of the original 50 guarantors of the CSO, providing the fledgling organization with $1,000.00 per year against the host of losses it initially incurred. He was instrumental, so to speak, in the construction of the orchestra’s home on Michigan Avenue. Mr. Thomas was a frequent guest at the Glessners’ homes, not only on Prairie Avenue, but in the families’ summer residences in New Hampshire. The families’ friendship was so strong that upon Mr. Thomas’ death in 1904, Mrs. Thomas presented the Glessners with her husband’s baton. The precious artifact is on display at the Glessner House Museum. Theodore Thomas conducts the Chicago Symphony Orchestra, ca. 1899. George Armour was one of the initial patrons of the Chicago Academy of Fine Arts, the predecessor to the Art Institute of Chicago. Countless Prairie Avenue luminaries lended their business acumen and political connections to launch the 1893 Columbian Exposition, which brought an estimated 26 million visitors to Chicago. Among the Exposition’s major underwriters were Marshall Field, Philp D. Armour and Gustavus Swift. The Field Museum, another initial outgrowth of the Columbian Exposition, would not have grown into a world-renowned educational institution without the support of its namesake, Marshall Field, or the generosity of his Prairie Avenue friend and neighbor, George Pullman. Countless visitors wait in line to visit the new Field Museum. One of Marshall Field’s most brilliant executives, John G. Shedd, visited fascinating aquariums in his travels through major European cities. He concluded that Chicago should have not only its own institution to house aquatic animals, but one that rivaled all others throughout the world. He donated at least $2 million toward his masterpiece. Although Mr. Shedd died before his aquarium was completed, the Shedd Aquarium stands as a beloved, ever-evolving tribute to this Chicagoan’s generosity. A bevy of 1920s cuties enjoyed the Shedd. Even entities as far-flung as the Archaeological Institute of America thrived under the aegis of Prairie Avenue residents. An 1888 list of its Society members reads like a Who’s Who of Chicago’s upper echelon, including Prairie Avenue residents Armour, Bartlett, Buckingham, Ellis, Field, Frank, Glessner, Hamill, Harvey, Hutchinson and countless more. As evidenced in previous installments in this series, the contributions of one group of citizens living for a time on one Chicago street cannot be overestimated. If the holiday season was embraced with joy by Chicagoans in the late 19th century, it was elevated to an art form by the residents of Prairie Avenue. With families such as Philip D. Armour and Marshall Field as neighbors, it could be safely assumed that one’s holiday tables would be laden with the finest food, and that exceptional gifts would be placed under the tree. Since so much of the land surrounding Chicago was still undeveloped, Christmas trees were never in short supply. Affluent families would often purchase the most stately spruce that could be accommodated under their parlors’ high ceilings. Families loved to adorn their trees with ornaments made of gingerbread, fruit and nuts, as well as garlands strung with popcorn or cranberries. Glass ornaments started being mass-produced in Germany during the 1880s, and it is likely that Chicago retailers started importing the sparkling new baubles concurrently. Trees were lit with small candles that were affixed to tree branches. Buckets of water or sand were placed closely to the trees in case a candle’s flame ignited the tree. This well-dressed family enjoys a day of shopping in Chicago’s busy streets. Holiday attire, especially for the ladies of Prairie Avenue, was beyond the comprehension – and comparative budgets – of the average Chicagoan. This dress, now at the Indianapolis Museum of Art, was produced by a team of seamstresses at Marshall Field’s establishment. It would have been perfect for a Christmas celebration. And what good was a Worth gown without the appropriate accessories? Again, it was Marshall Field & Company to the rescue. A Prairie Avenue child would have found delight in presents under the tree. Gifts included a range from the simple (marbles, jacks, rolling hoops), to dolls and dollhouses, tin soldiers, and toy train sets. A lucky child might have received a puppy. According to the American Kennel Club, the most popular dog breeds of the era included Saint Bernards, English Setters, Cocker Spaniels and Beagles. A Persian kitten, then relatively exotic, would have been a sweet gift. One of the most high-tech gifts for people of all ages was a stereopticon, or “magic lantern.” A primitive version of the ViewMaster toy, the stereopticon was a hand-held viewer that contained two lenses arranged to produce a multidimensional view of the slides placed behind them. Places of worship played a major role in the development of the young city of Chicago. Many faiths were represented in the area. They provided essential goods and services for the needy, as well as venues for Chicago’s elite to socialize. Many Prairie Avenue families, including the Armours, Pullmans, and Cobbs, attended services at Second Presbyterian Church at 1936 South Michigan Avenue. Arthur Meeker, Jr., son of a prominent Armour executive, used Second Presbyterian as a backdrop for a social encounter in his 1949 novel, Prairie Avenue. In one chapter, Meeker’s young protagonist, Ned Ramsay, spotted a friend seated with her mother in the family pew, observing the practice of the wealthy in purchasing or renting pews for their exclusive use. Second Presbyterian and its extraordinary architecture still thrive, as is evidenced by this recent Classic Chicago Magazine article. Grace Episcopal Church, a popular venue among Prairie Avenue residents, stood at the corner of Eighth Street and Wabash Avenue from 1859 to 1914 when it was destroyed by fire. It was soon rebuilt, and its most modern building continues to be a vibrant faith community. One of Chicago’s first synagogues, the Sinai Congregation, was located at the corner of 21st Street and Indiana Avenue. The building featured Moorish-inspired architecture from the legendary team of Adler and Sullivan. Sinai was, and continues to be, one of the most socially progressive congregations in the Chicago area. The Near South Side’s Catholic families, including the countless Irish immigrants who served as maids, cooks and coachmen on Prairie Avenue, attended Mass at Old St. Mary’s Church at 911 S. Wabash Avenue. Old St. Mary’s, founded in 1833, continues to serve as a place of worship and education for South Loop families. Things changed. Prairie Avenue ceased to be a fashionable residential location by the 1920s. Many of the elegant homes have been demolished, and skyscraper apartment buildings stand in their places. The invention of the automobile forever altered Chicago’s thoroughfares. Suburban housing developments replaced farmland as they marched toward the state’s borders. But some things remain the same as ever: The sun rises magnificently over Lake Michigan, shedding a pink glow over the mosaic of ice caps. Brutal winter winds still roar through the Loop’s skyscraper canyons. The holiday windows at Marshall Field’s (as many Chicagoans still refer to the store purchased by Macy’s in 2006) continue to delight people of all ages. Christmas trees and menorahs continue to light the snowy nights. Children still look for Santa in the midnight starlit skies over Chicago. We all hope for peace. We all believe in a better world. For those of us who enjoyed the latest film iteration of The Great Gatsby, opportunities abound to align oneself with key elements of what I firmly believe is the Great American Novel. At the lower end (about $30), you can buy a bottle of Moet & Chandon champagne, guzzled liberally throughout Jay G’s epic parties. For a mere $200,000, you can own the Jazz Age diamond headpiece from Tiffany & Co.’s Gatsby Collection. The estate, nicknamed “Kingdom Come Farm” by Ginevra’s father, Charles Garfield King, is up for grabs for the first time in many years. The main house, an imposing sprawl of white wood frame, sits upon 45 acres. None of them offer Lake Michigan frontage, unfortunately, but then again, you won’t have to deal with those annoying beach glass-collecting trolls creeping along your shoreline. Ginevra spent many summer days at this estate when she and her family were not living at their long-since demolished town home at 1450 North Astor Street in Chicago. Harold Van Doren Shaw designed the Lake Forest estate. He was the visionary behind Lake Forest’s Market Square, the first planned shopping venue in the United States. 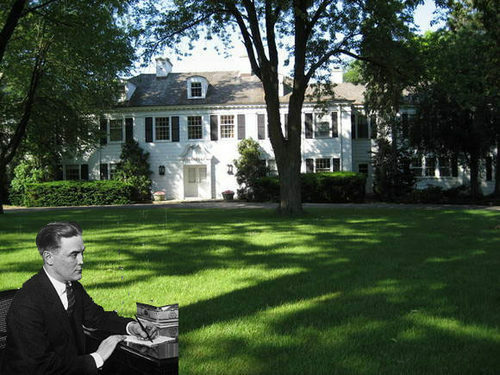 According to James West’s excellent book, The Perfect Hour, Scott Fitzgerald visited Ginevra at Kingdom Come Farm, and received a chilly reception from Mr. & Mrs. King when he was found to be wanting of a trust fund. Ginevra ended the romance shortly thereafter. She later married Billy Mitchell, a socially prominent World War I flying ace. After 19 years of marriage to Mr. Mitchell, Ginevra became the wife of a Chicago department store heir. My mother-in-law knew Ginevra through membership in a venerable philanthropic organization, and always referred to her as “that nice Mrs. Pirie.” Apparently, Ginevra was sufficiently self-assured to always wear the same green wool, velvet-trimmed dress suit to the Service Club of Chicago’s annual meetings. Consistent with her home, Ginevra had great bones, aged beautifully and was impervious to trendiness. She was generous and kind, offering many of her resources to others during the Great Depression. Unlike today’s tell-all divas, she never discussed her relationship with Fitzgerald, but perhaps these walls will talk. Update: As of September 2016, parts of Kingdom Come Farm, or Westleigh Farm, as it is currently known, are still for sale. Some 47 acres of the property have been approved for the development of single-family homes. The asking price has been reduced to $11.5 million. Sadly, the property seems to have deteriorated due to neglect. What looks to have been an exquisitely proportioned formal garden in back of the house has gone to seed. Mother Nature is seen creeping up the patio and onto the walls. The home’s interiors are no longer shown on the real estate listing. According to recent stories regarding the pending development, the home has not seen significant renovations in approximately 50 years. It is not eligible for landmark status. In January 2016, the Lake Forest Plan Commission imposed a two-year deadline for the sale of the house. If not purchased within that time frame, the home is subject to demolition. Where is Jay Gatsby when we need him? Mother Nature is fast encroaching upon the estate. The home has suffered exterior damage and neglect. Note housing developments at top. This is one of the last large parcels of land left in Lake Forest. See the YouTube video of this song. Today’s tribute goes to Robert De Golyer. Here is a sampling of his remarkable design vocabulary, and his buildings that still march down “the Drive” and nearby streets. Designed in 1926, 3750 N. Lake Shore Drive rises fortress-like at the corner of Sheridan Road and Grace Street. A couple of blocks away, at 3500 N. Lake Shore Drive, are the Cornelia Apartments. With a distinctive mansard roof, the building exudes an Empire influence. 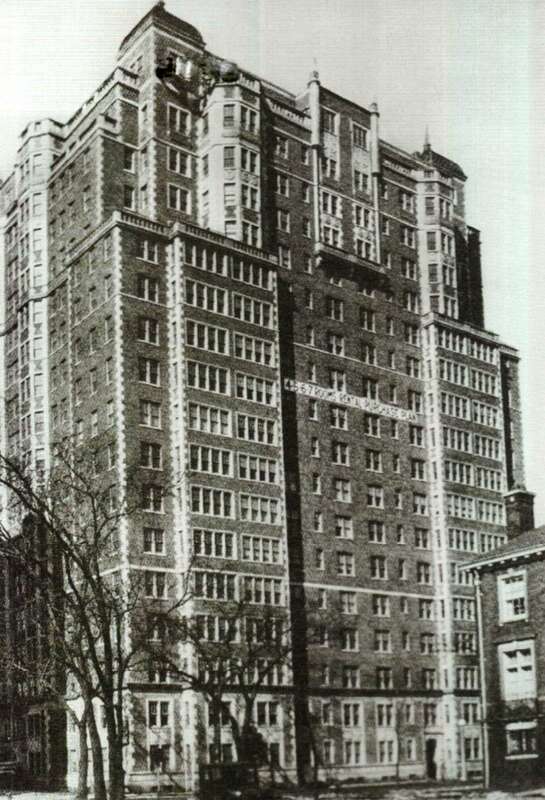 The 1924 Barry Apartments, several blocks south, are constructed of pale brick, and command the corner of Barry Street and Sheridan Road. A block away is 3000 N. Lake Shore Drive, which De Golyer designed in 1927. The apartment building features Tudor elements, some of which originally concealed water tanks on the roof. 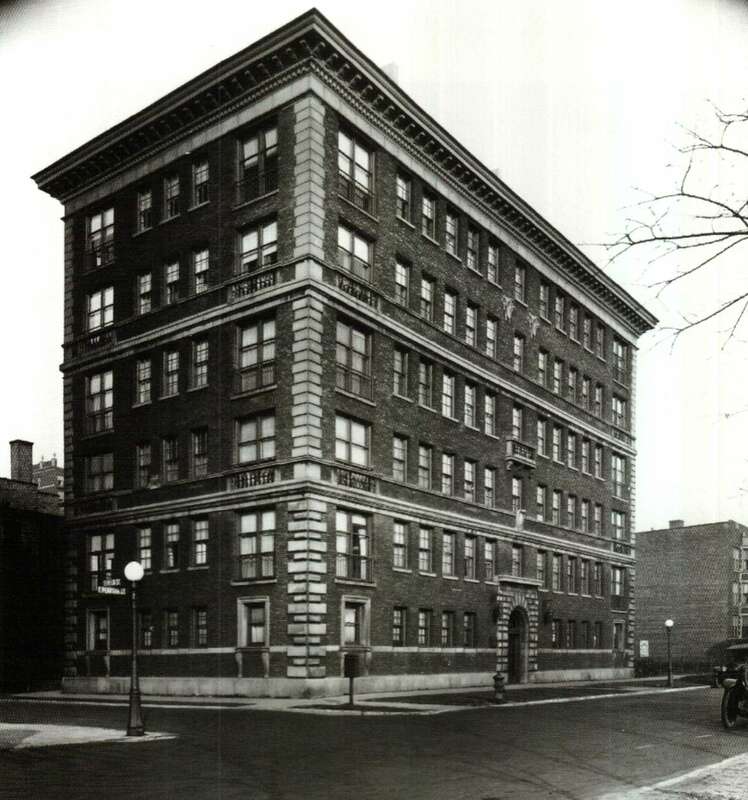 De Golyer’s Marlborough, at Lakeview Avenue and Deming Street, was constructed in two phases. The Deming side was built in 1912. It featured smaller, yet eminently livable apartments. 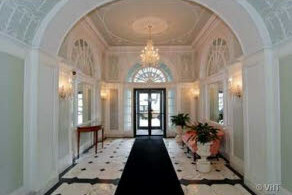 The Lakeview addition was completed in the 1920s, and has larger units with semi-private lobbies. 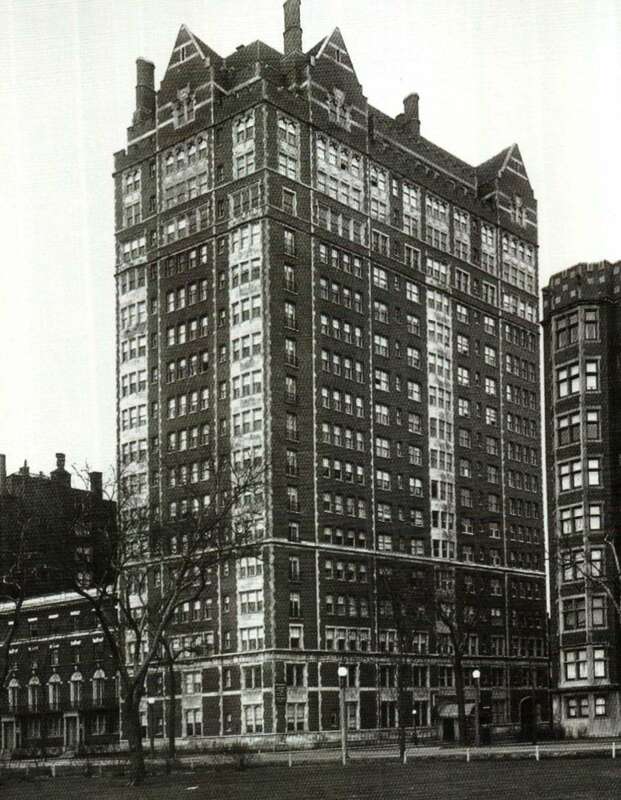 The Marlborough: Lakeview Ave. and W. Deming St.
De Golyer’s Gold Coast apartment homes featured distinctive details and rich appointments for the area’s upscale clientele. Imagine how the first residents of 1430 N. Lake Shore Drive must have felt in a structure that rose like an arrow among a host of Gilded Age mansions. Built in 1927, the building replaced a large single-family residence. Just a bit south is De Golyer’s 1242 N. Lake Shore Drive. 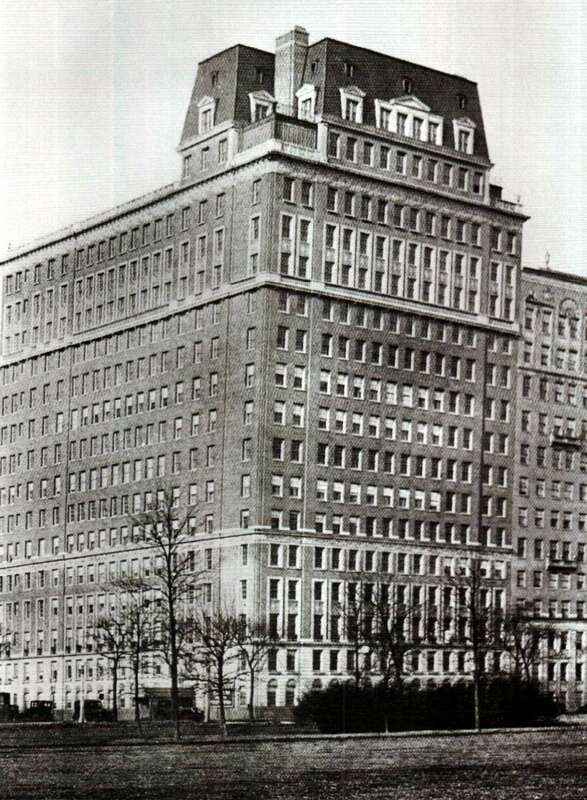 Completed just before the Great Depression, only a fraction of the co-op’s units sold, and the rest were rented. The Gothic-inspired apartment building features a penthouse that was once owned by McDonald’s founder Ray Kroc. Before he designed 1420 and 1242 N. Lake Shore Drive, De Golyer completed 1120 N. Lake Shore Drive in 1925. 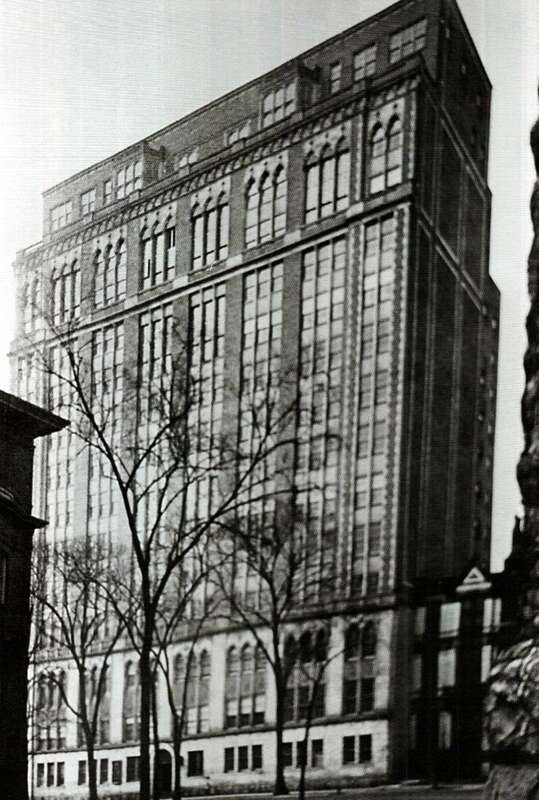 At the time of its construction, it was the tallest co-op building in the city. De Golyer’s 1320 N. State Parkway offers large units filled with northern light. Its Venetian-inspired design renders it unique in the many apartments that line State Parkway. 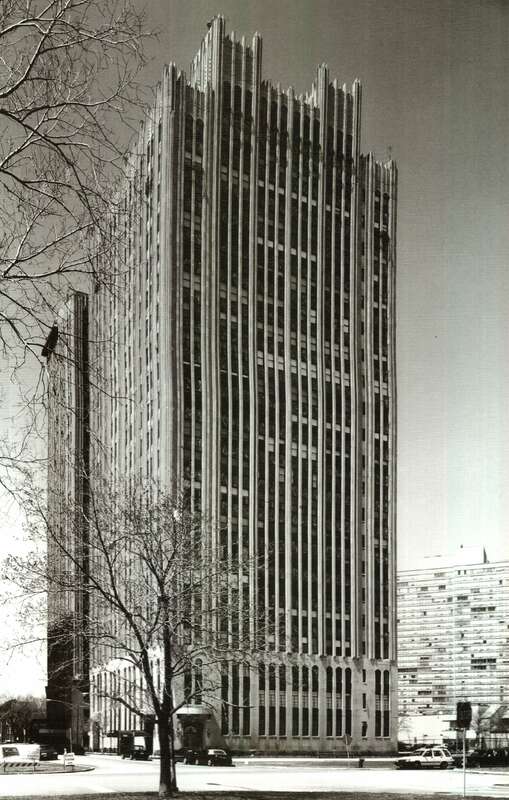 De Golyer’s contribution to the Streeterville neighborhood is 200 East Pearson, an elegant palazzo in the city. 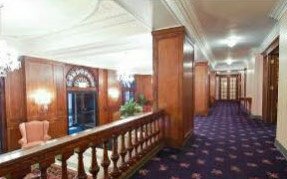 A co-op, the building offers large, well-proportioned apartments with classic mouldings and high ceilings. One of De Golyer’s most imaginative creations is the Powhatan, at 4950 South Chicago Beach Drive. This Art Deco masterpiece was built in 1927. Its terra-cotta cladding gives it a feeling of lightness. Its strong vertical lines create the illusion of endless lift. How can one feel anything except delight upon entering through the Powhatan’s doors?